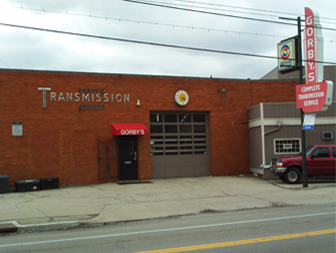 Gorby's Automotive and Transmission Service is the oldest transmission repair shop in Dayton, Ohio and we have been providing our customers with top quality transmission services and outstanding customer care for over 60 years! 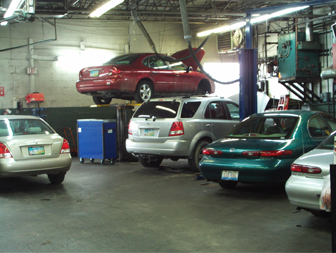 Our transmission repair facility is known throughout the community for being honest and friendly. Gorby's Automotive and Transmission Service has been a pioneer in the automatic and manual transmission, clutch and differentials service, since 1954. Our shop strives to provide prompt and courteous service to all who visit our automotive transmission repair facility in the hope that you will come back for all of your automotive transmission, clutch and differential repair needs. We believe in the practice of repairing just what you need to keep your auto or truck in proper and safe operating condition at the lowest cost. We offer complete drive train service for most foreign and domestic cars and trucks, including motor homes. Service includes automatic and standard transmissions, differentials, transfer case, axles and drive shafts. We also complement our transmission services by offering computer diagnostics, engine tune-up, brakes, charging system, shocks, struts, belts, and hoses. Ask us about student, AAA, or Golden Buckeye discounts. © Gorby's Automotive & Transmission Service 2019. All rights reserved.